Councillors and allotment holders had a very productive day recently planting 105 saplings, which have been donated to the Council by the Woodland Trust. The trees are suited to wet and boggy areas, so we hope that as well as improving the appearance of that area and helping to support the wildlife, the trees will also alleviate some of the drainage problems. It was nice to see so many tenants working side by side with the Councillors on this project. 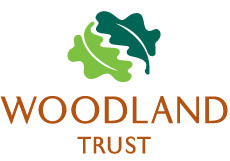 Thank you to everyone who helped out and a big Thank You to the Woodland Trust for supplying the trees free of charge.